Lets be honest the seeds for Mark Warburtons Downfall were sown in early 2016. After a blisteting start to the all important Promotion or Bust season the other Nine Teams began to learn from their Homework. To the degree that you didnt need to send a Scout to build a dossier on Warburtons Rangers all you had to do was check your notes from previous games. 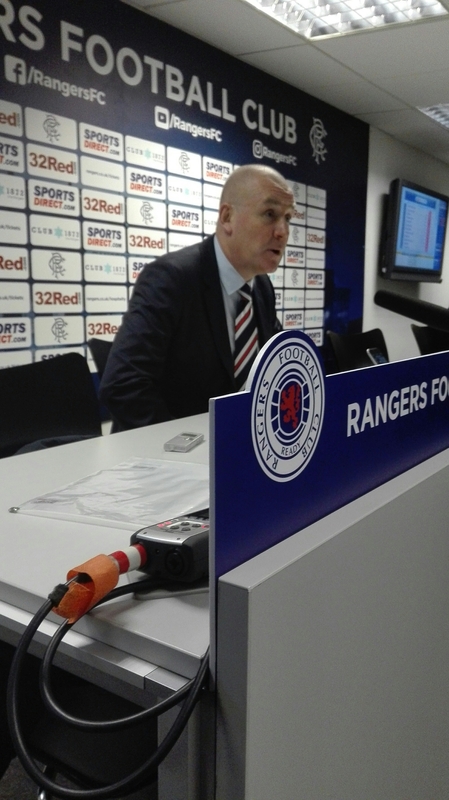 Warburton had the element of Surprise in his first round of fixtures in league. Blowing Hibs away in Petrofac Cup first Round surprised many. Then a good first round of League fixtures for Warburton and the frailities of back Four with Wing Backs, a narrow mudfield three combined with a mobile front Three. Starting from Deep keeping possession at almost all costs. Warburton set rules and they mostly had the letter P as a key. Possesion and play percentage passes. The problems came when other teams realised to defend against this Rangers team all you had to do was man mark in your own half with a chaser running down the Centre Backs in Blue. That lead to Rangers turning from a free flowing Attacking force who would score more than they let in, to a nervous uncomfortable squad in possession who leaked goals. In fact it seemed Rangers needed to go a goal down to begin to look like they were interested in putting the opponents goal in Danger. Countless examples of how to Play Rangers and win come right out of the Alan Stubbs Robbie Nelson Play Book. Against Brendan Rodgers Celtic at Recent League Cup Semi Final with Tavernier in Midfield and Lee Hodson in at full back playing a solid looking 4-4-2 then it took some formation Changes from Celtic to win at Hampden. Warburton was is stubborn the joke was Mark had only read one paragraph of one page in one chapter of the Big Book of Football Tactics. And like a Born Again Christian he believed every word to be Gosple. Warburton seemed to fail in questioning his own ethos to the degree that he could not evolve. From early 2016 the signs were there. First Game of Warburton Era versus Hibs at Easter Road a surpise drubbing of Hibs. Last game of season a toe to toe battle at Hampden in Scottish Cup Final with Hibs winning by using only one page of Tactics. How to beat a Warburtons Rangers. Flattering to decieve with some lovely moments but for me Warburton Plan A became a bust flush and the lack of a Plan B caused the downfall. The Warburton Revolution simply failed to kick on and Evolve.